Diamond Head, the Pacific Ocean & Honolulu Zoo all in your view! The most desirable frontage of the Waikiki Grand Hotel and terrific opportunity for Daily/Weekly vacation rental or your pied-a-terre for Waikiki weekend getaways. Custom designed interior with travertine floors, granite counters, built in storage & Murphy bed. Extend guest stays with the convenience of a kitchenette including 2 burner in-counter cooktop, microwave and refrigerator. Arguably the most desirable location in Waikiki near Kapiolani Park, Honolulu Zoo, Diamond Head, beaches and world class shopping. Pet friendly too. 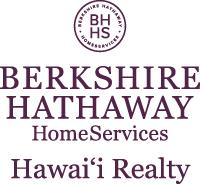 I am interested in 134 Kapahulu Avenue UNIT 415, Honolulu, HI 96815. Sign up for Inside AccessTM to view recent sales near 134 Kapahulu Avenue UNIT 415.